This program is for adolescents beginning Taekwondo and focuses on teaching the basics of Taekwondo. Our goal is to channel their energy into a useful, disciplined, and a self-respected environment. We find that students of this age often have frustrations with school and peers, and it is our goal to keep them focused on positive and productive ways of looking at their lives. Since these students are older, they are challenged and motivated by instructors to really be the best that they can be! 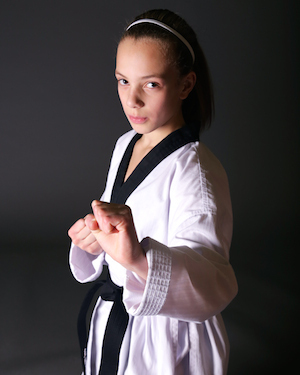 By way of Taekwondo techniques and Martial Arts teachings, the students are able to channel their energy into useful means. In this class, we stress the importance of respect for self and others, self-confidence, perseverance, and an indomitable spirit. Many students find positive role models and become role models in their own lives. The class is high energy, dynamic, and challenging. Our members can expect quality instruction and a program that is engaging and keeps students on their toes. Because of the age group of these children, we treat them as responsible young adults who are capable of smart decision making. We foster compassion and a disciplined mind, encouraging our students to really reach for bigger and better things in life. These students learn that they are capable of ANYTHING if they put their mind and hearts into it. We make an effort to ensure these students understand that we are not just people with black belts, but that we care about their development both physically and mentally.